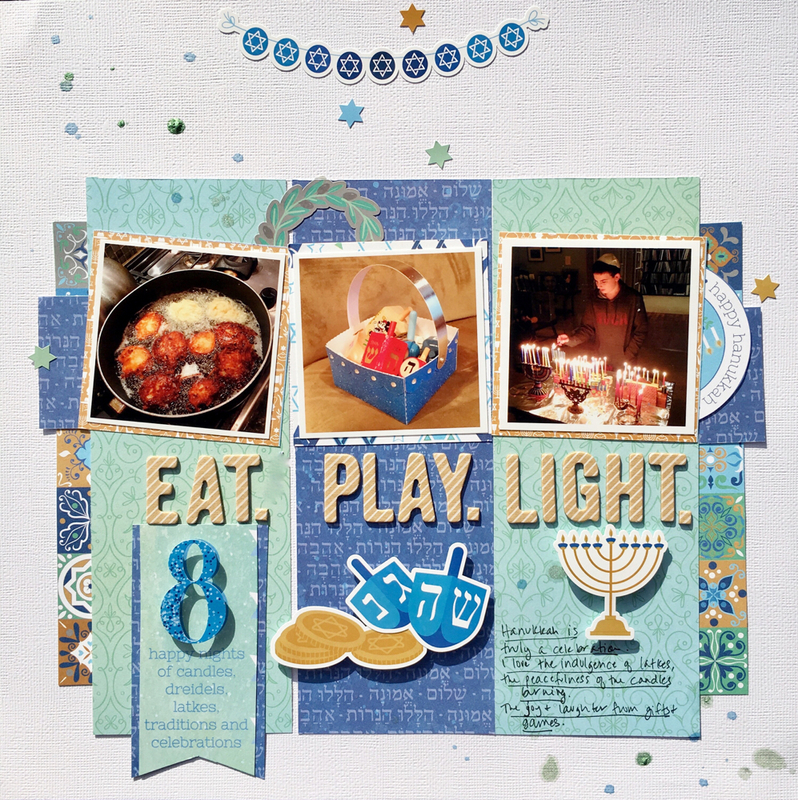 My Creative View: Happy Hanukkah! Hey there! 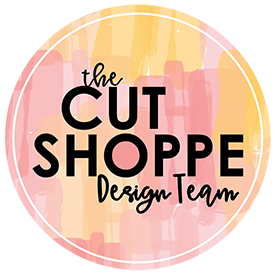 I have such exciting news to share! 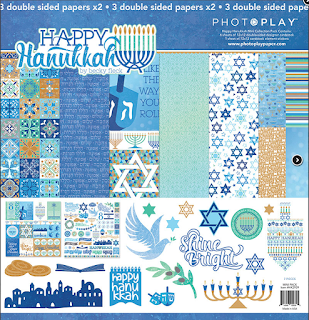 I'm Guest Designing this week for PhotoPlay Paper featuring their brand new fabulous Happy Hanukkah collection. It's been several years since anyone created a line for hanukkah. It's so nice to be included in this years holiday release. 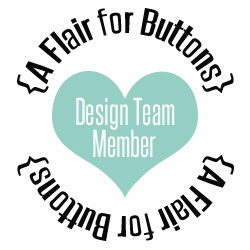 I started with a layout, well, you know, that's what I do best. I grabbed a few photos that to me best describe the holiday as a whole. 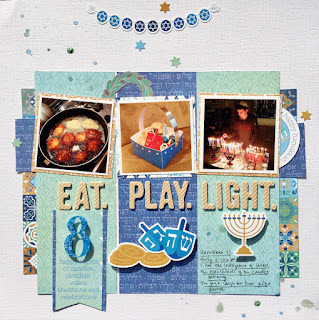 I used all three of the papers, including cutting apart some the 3x4 cards into embellishments. I am so pleased with the selection of stickers I want to use so many! In the end, I used ones that went with my title. 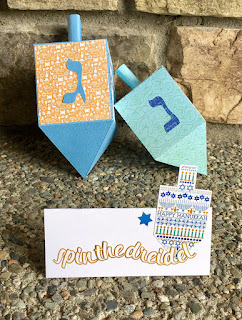 Next I made a couple of 3D dreidels using cut files from the Silhouette store. I covered them with more patterned paper and the 4 Hebrew letter stickers that correspond to the Dreidel game. 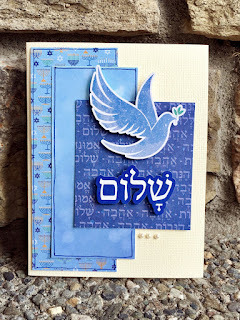 In all my years of Papercrafting, this is the first time I've ever had Hebrew letter stickers too use. Next us are a couple of cards I made. I try really had to be a great card maker, but the reality ism the ideas don't come to me as easily as they do for layouts. I do have to say, though, I'm pleased with myself with these two. It is currently the week of the High Holidays, which include the Jewish new year and Day of Atonement. 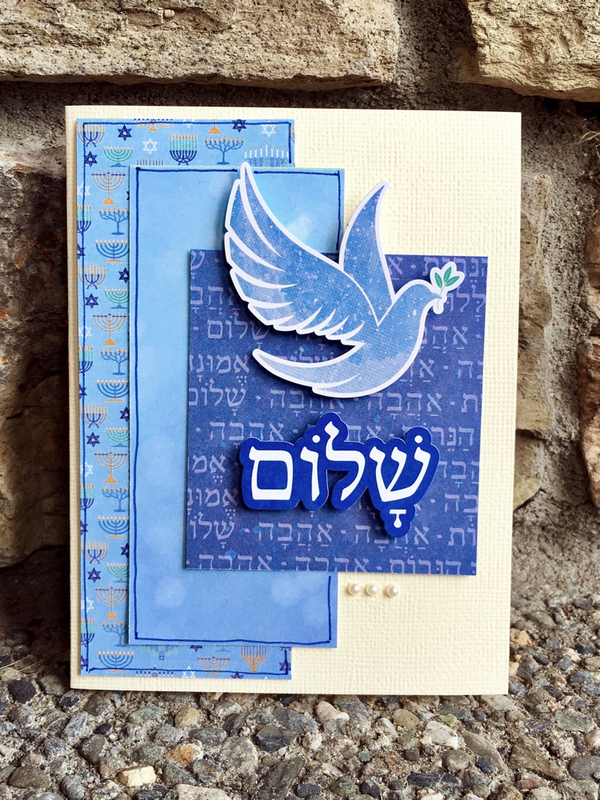 This first card means Peace, which is entirely appropriate for this time of year. 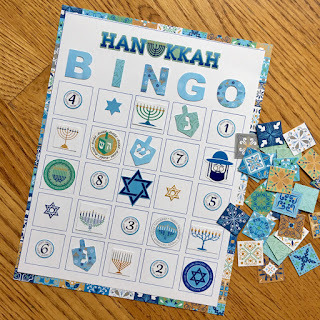 How nice two be able to use this collection for other things other than Hanukkah. 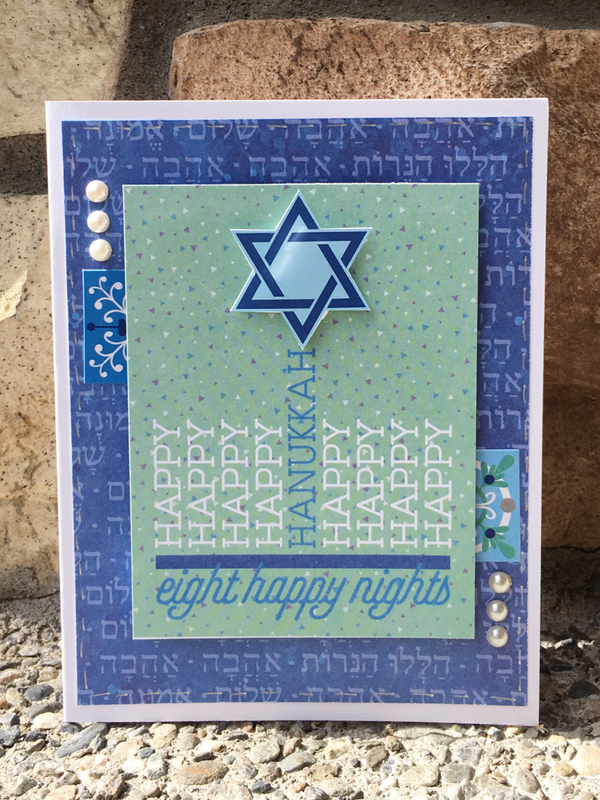 This card was so easy to put together using the 3x4 cards, some paper and one sticker. It's simple, but says exactly what it needs to say. 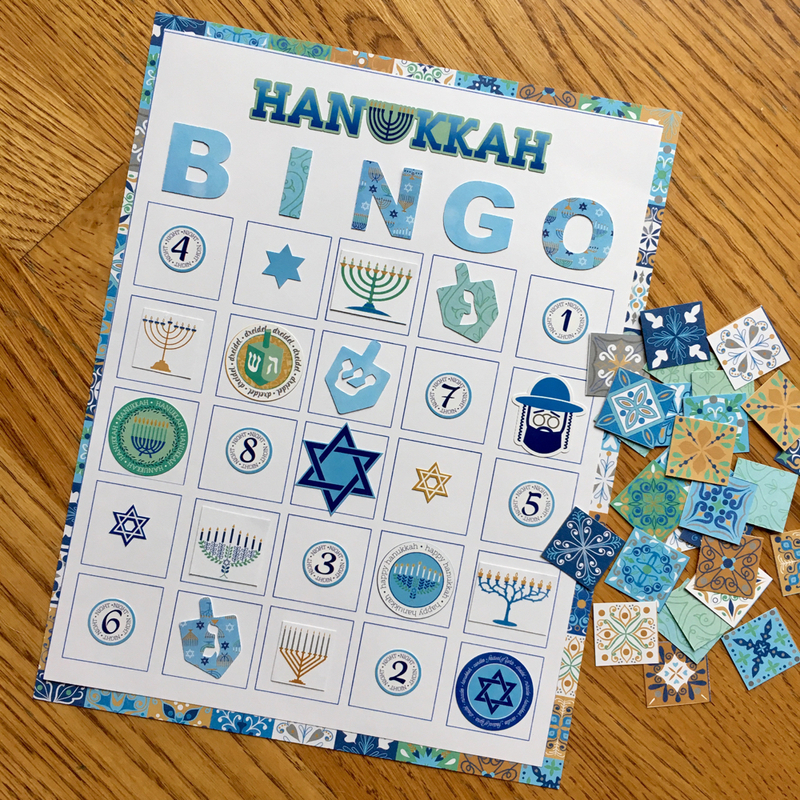 Hanukkah is a celebration. We play games as part of the celebration. Lastly, I created a Bingo board. 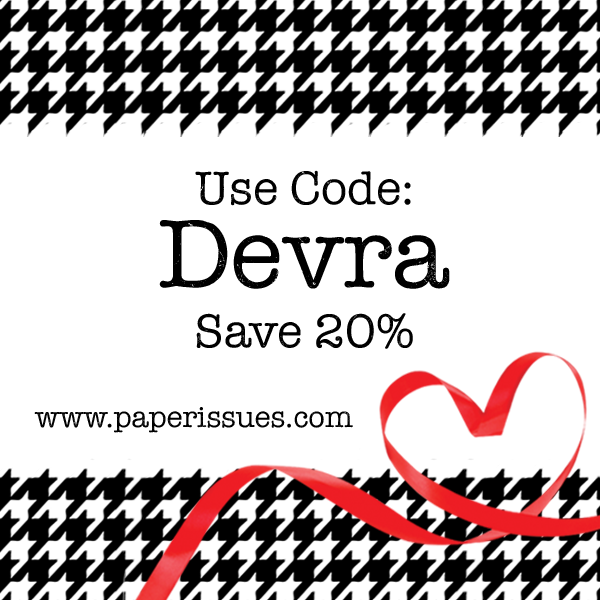 I designed the card on my Silhouette. I used all the small stickers I could from sticker sheet. I also cut some pieces out of the 3x4 cards. 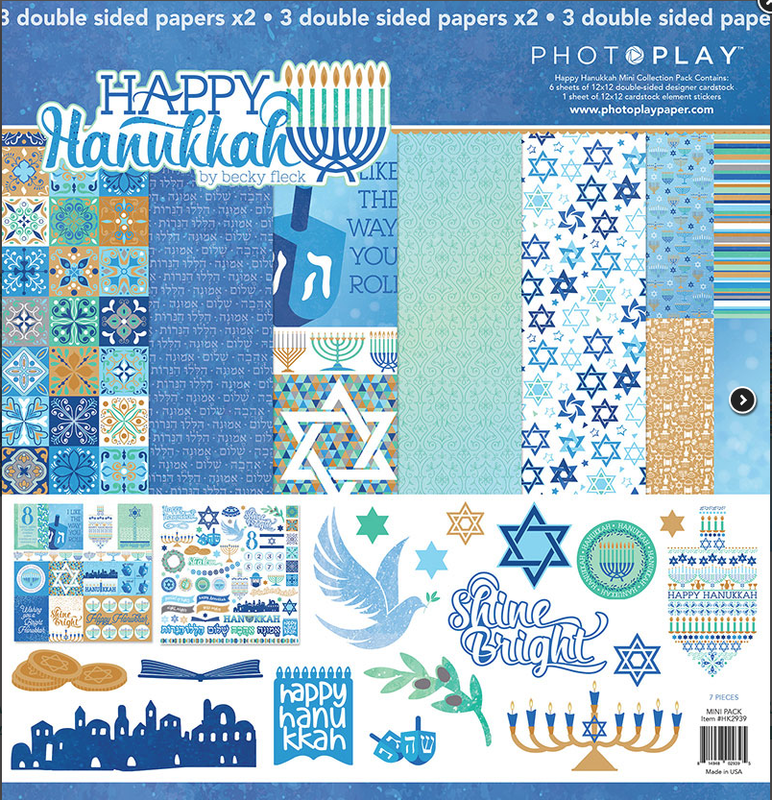 The Bingo Pieces are all cut up from the Shalom paper.